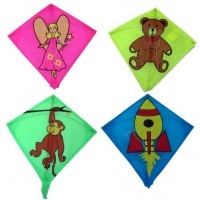 Please find below a selection of our more traditional kites. All the kites we stock are great flyers and are tested by ourselves before stocking so you are assured they will fly great for all ages. 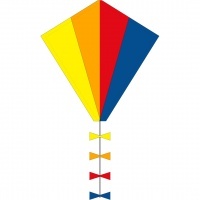 Simple and easy to fly the Spirit of Air Mini Diamond Graphic Kite is 30cm wingspan and available ready to fly in several designs. 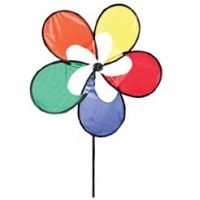 The Spirit of Air Windspinner in Petals design is ideal for gardens or events to create a bit of moving colour. 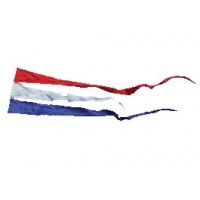 Step back to the Medieval time with Spirit of Air Streamer flags 4m long. 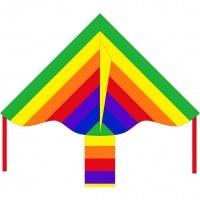 Look great on a flagpole especially with several streamers together in different colours. 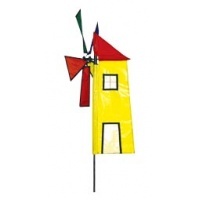 The Spirit of Air Wind Spinner in cute Windmill design is ideal for gardens or events to create a bit of moving colour. 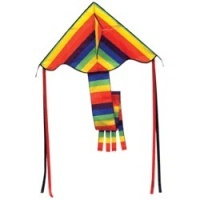 The perfect pocket kite the traditional Spirit of Air Mini Diamond kite is only 24cm wide and packs up really small but flys amazing with a huge long tail. The Spirit of Air Super Flyer in the Rainbow colours is always a favorite at festivals and events. 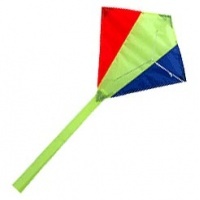 Super easy to fly in almost any wind great single line kite for young flyers.